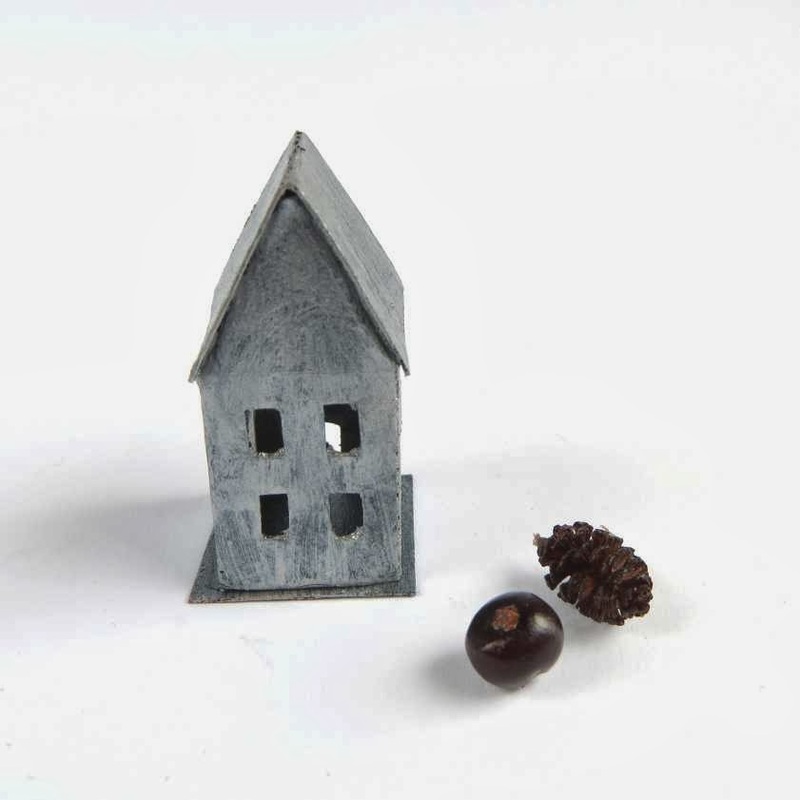 In the previous post I've written about the faux zinc candle holderhouse, well, I've create another house, this time in miniature. I've drawing it on the base of the bigger one, there are some differences between them such as less windows and no window to introduce a light. 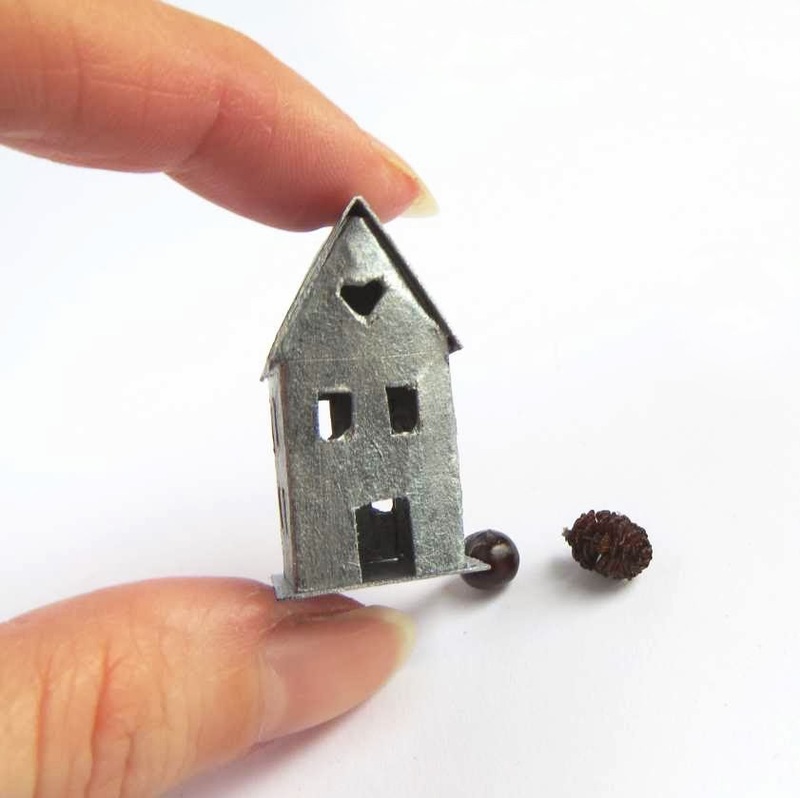 It is possible to make a hole on the bottom or on the back of the house to elettrify it. Near there are an alder fruit, that looks like a tiny pine cone, and a juniper berry, that looks like a deep red apple. 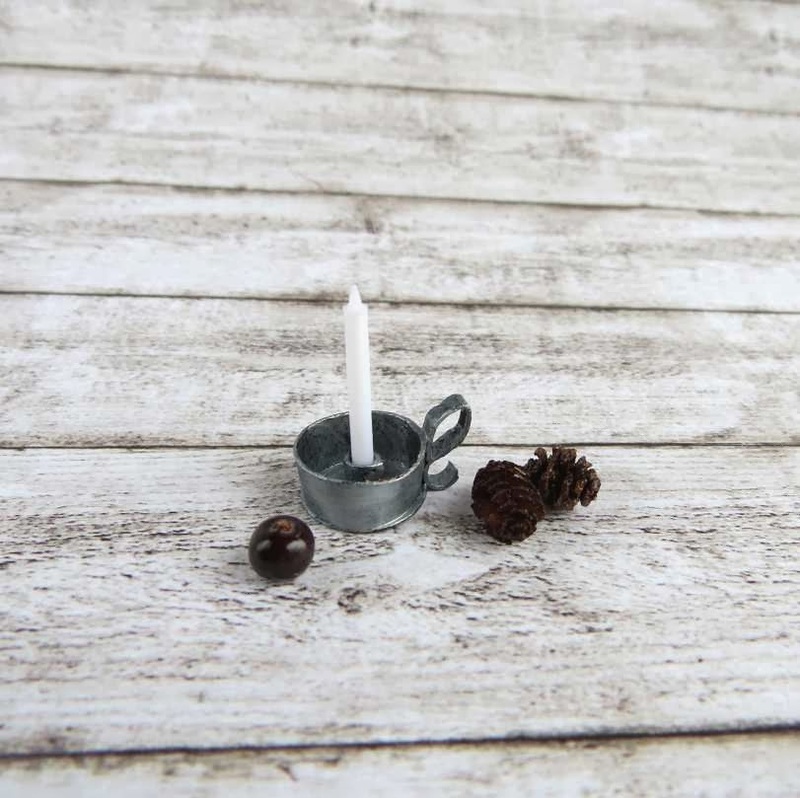 Another faux zinc item, that I've made after a long time, is the candle holder. This time I haven't use a polymer clay candle but a thin plastic one, so white and perfect to have a lovely contrast with the candle holder. I'll make other faux zinc miniatures, I've already work on some of them, sure I'll match faux zinc with flowers and vintage labels. 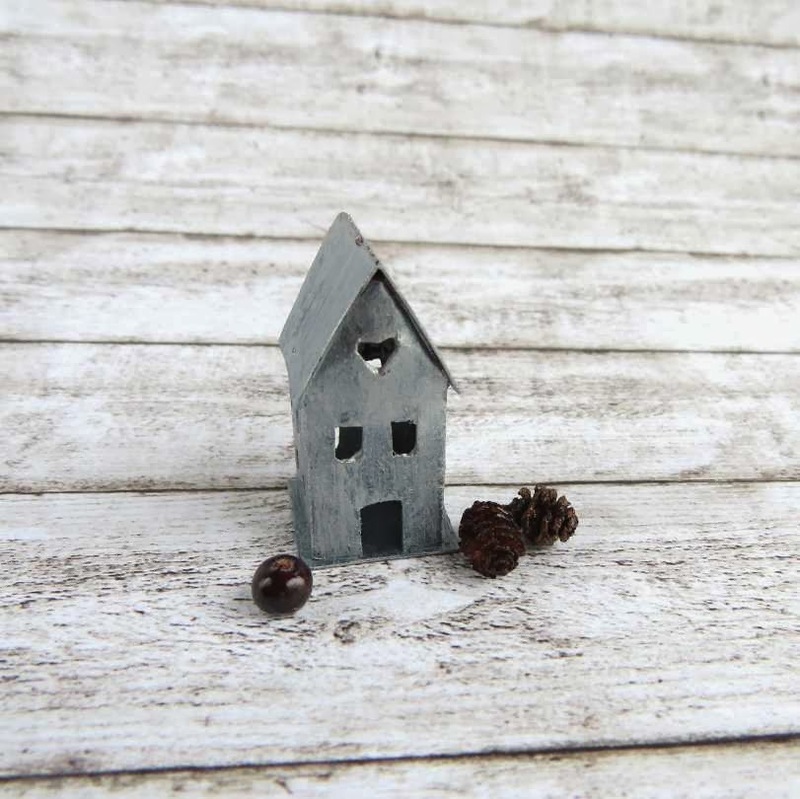 You can see the little house and the candle holder on my shop on Etsy. Bellissime creazioni, era da un po' che non venivo qui ma la meraviglia è la stessa, idee deliziose, piccoli capolavori, bravissima!! !